Brexit happens in 7 weeks. We went on a 1,200-mile road trip to survey the chaos. Home 2019 February 8 Brexit happens in 7 weeks. We went on a 1,200-mile road trip to survey the chaos. MANMOEL, Wales — On a frosty hillside, William Jenkins blows his high-pitched whistle and barks instructions at two dogs as they round up a flock of unruly sheep. His family have worked the land here since 1911, and their rough-hewn farmhouse dates to the 1640s. Like his father and grandfather before him, Jenkins, 69, has faced almost every challenge, from harsh Welsh winters to constantly changing prices for his livestock. But nothing has worried him quite like the U.K.’s impending exit from the European Union — the seemingly unsolvable riddle that is Brexit. “I’ve got to be honest, politicians of all colors are playing political games with our future and it frightens me what is going to happen to us,” he says, squinting into the low, wintry sun. More than two and a half years after Brits voted in a referendum to leave the E.U., and with only 49 days to go until the divorce is due to come through, the country’s politicians still haven’t agreed how to make this work. NBC News embarked on a road trip to speak with regular people around the country about their hopes and fears for the future. If they can’t agree on something by March 29, Britain will face a “no-deal” Brexit, risking shortages of food and medicine, chaos at the borders and conflict in Northern Ireland. With much of the debate centered around Parliament, we wanted to escape the “Westminster bubble” — the British version of the so-called Washington Beltway. We traveled 1,200 miles by car, train and airplane, visiting both pro-E.U. and “leave” heartlands in each of the U.K.’s four nations: England, Wales, Scotland and Northern Ireland. We met Jenkins, the Welsh sheep farmer, while visiting Blaenau Gwent, the county in Wales with the highest percentage of voters who supported quitting the 28-country bloc in the 2016 referendum. As one of the poorest parts of Europe, Wales receives hundreds of millions of dollars each year in E.U. funding. And yet most people here voted to leave. Many complained that despite the influx of cash, it was being spent on new highways and urban face-lifts, rather than things that might immediately improve their lives. This once mighty industrial region is blighted by unemployment and rust-belt isolation. As a pro-E.U. remainer, Jenkins goes against the grain of his community and says he’s “baffled” by the vote. On another leg of the trip, we found his polar opposite in the Northern Irish coastal town of Ballycastle. “Westminster has lost touch with the people and they have lost touch with democracy,” said dock worker David Henry, 59, speaking about the lawmakers at the Parliament in London. “We voted leave, overwhelmingly, to get out of Europe — and we want out,” he added, referring to the 17.4 million people across the U.K. — or 52 percent of voters — who supported departing. Northern Ireland has become a major sticking point for Brexit. It was plagued for 30 years by sectarian strife called “the Troubles.” A 1998 peace deal rested on an open border between Northern Ireland and the Irish Republic. Some worry Brexit could mean the return of a “hard border,” and with it violence. But in Londonderry, also known as Derry, we found a different view. It lies miles from the border with the Irish Republic, which will remain part of the E.U., and would be on the front line of any tension post-Brexit. “There were bombs or shootings at least four or five times a week,” said Gavin Morrison, 46, recalling growing up during the Troubles and working for a window firm. We found a similar sentiment in Scotland, where 62 percent of voters backed staying in the E.U. Jamie McCormack, 37, a chef, told us over a pint in Edinburgh that he was angry at being “dragged out of the European Union” as a result of votes that came mostly from England. Another stop was the English town of Boston — which is where the Massachusetts city got its name. The U.K.’s version happens to be the Brexit capital of the U.K., where almost 80 percent of residents voted to leave the E.U. Many were motivated by a spike in immigration from Eastern Europe after 10 new countries joined the bloc in 2004. “It was such a stable community for such a long time before the introduction of free movement,” said Alan Mason, 69. He wouldn’t say how he voted in 2016, and he denied that anti-immigrant sentiment was a cover for thinly veiled racism. He told us he understood why people were upset that the “character” of the town had changed so quickly. Others weren’t so measured. While we were filming in the main square, a man shouted to us, “Send them all back home,” referring to the town’s migrant population. It’s no surprise Britain is divided over Brexit. But we found surprising shades of gray. In the town of Lossiemouth, on Scotland’s freezing north coast, Sandra Campbell, 64, admitted that in 2016 there wasn’t enough information “for people to come to a proper decision” on the referendum. And even in the pro-E.U. stronghold of Lambeth in South London, management consultant Simon Sandberg, 61, recognized there could be “a political crisis” if the result were overturned. That didn’t stop him from adding one hopeful caveat, with a glint in his eye. 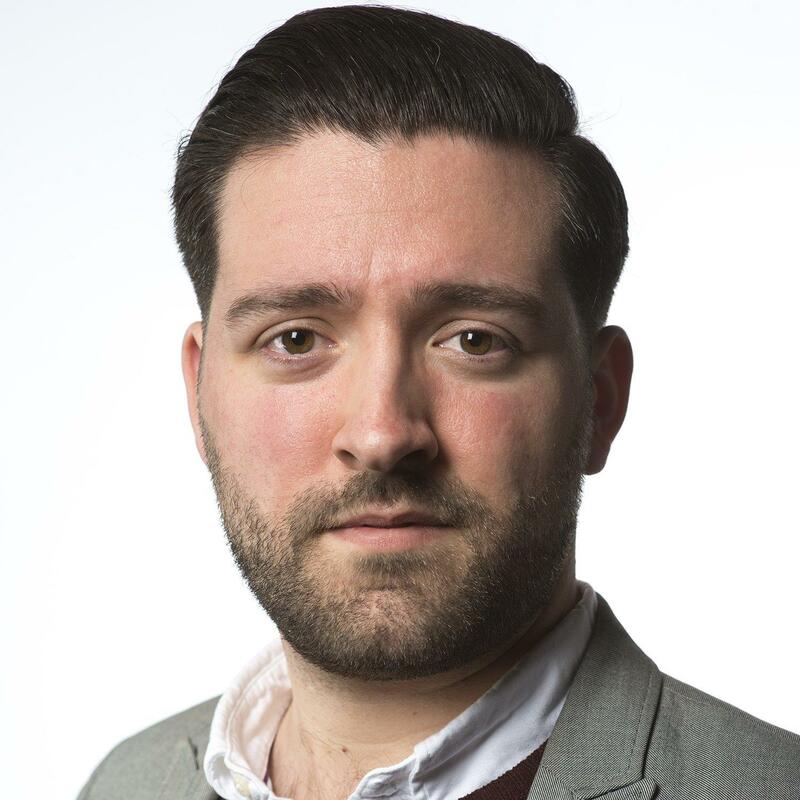 Alexander Smith is a London-based senior reporter for NBC News. Ziad Jaber is a producer based in New York. They thought it was a stolen Picasso. It’s likely an elaborate hoax.